It’s 2 am and I can’t sleep. I don’t know how, I end up watching healthy food videos on YouTube and the amazing food heightens my hunger. So they showcase healthy food and I munch onto namkeen and Coca Cola. The problem is if I don’t sleep at the immediate moment when I feel dizzy, the golden hour rushes past and then I sit like an own looking out for things that can lull my mind into sleeping. 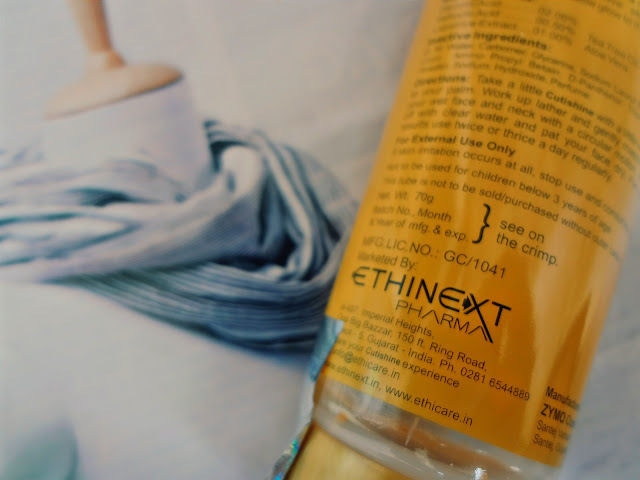 I you’ve been reading my blogs; than you must be aware that I received some products from the Gujarat (India) based pharmacy known as Ethicare Remedies. You can read about their Monsoon Kit here. This kit comprises of a face wash which I shall be reviewing today. 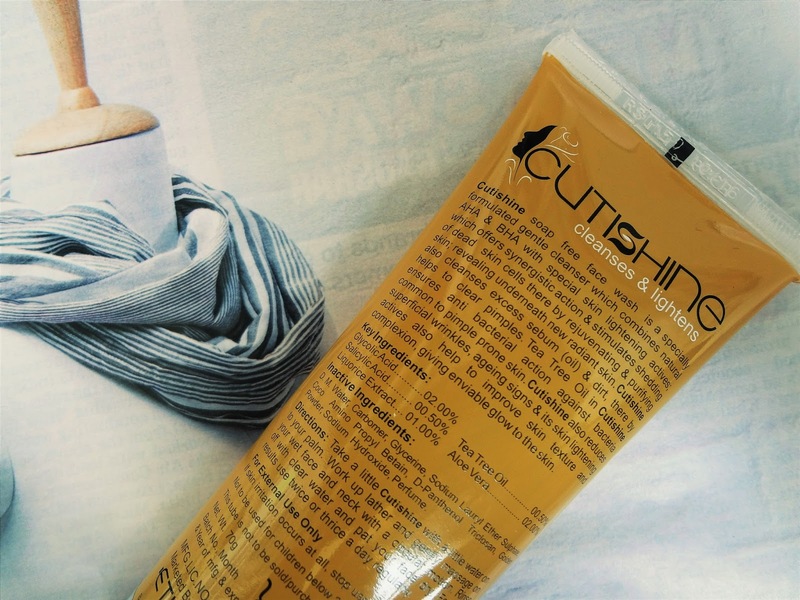 The Cutishine Face Wash retails at INR 159 for 70 grams of content. It works well as an everyday facial cleanser and targets the Oily and Acne prone skin. The packaging claims to improve the complexion. If you have ever been attacked by acne/pimple, you’d be familiar with the emphasis that is given to contents such as salicylic acid, tea tree oil and aloe vera. 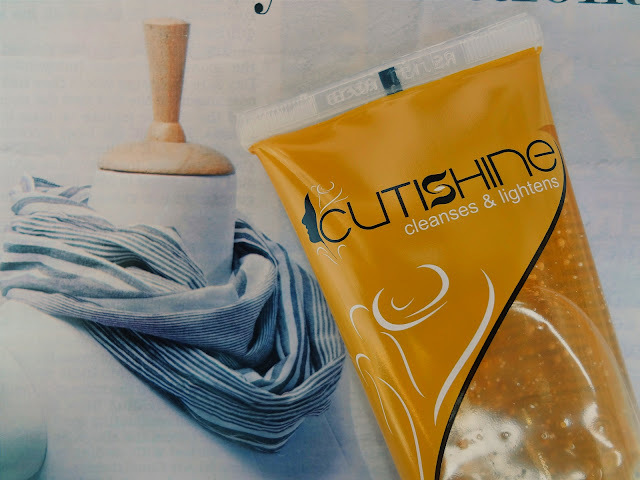 The Cutishine face wash comes in a golden-mustard yellow cardboard outer packaging. It has a convenient squeeze out tube with a flip top lid that has the same color scheme going on as the outer box. The face wash liquid is transparent but contains mustard and white (comparatively minute) beads. These beads dissolve within no minute the moment you generate foam by rubbing your palms together. The consistency of the face wash is gel like and it helps in removing excessive greasiness from the face. It does not completely strip off the natural oils making the face dry and stretchy but sustains the bounce and softness of the facial skin. About the lightening claim, I’d say it restores the natural skin color which gets dull on being exposed to dirt, sun and pollution. But do not expect it to make you look fair. 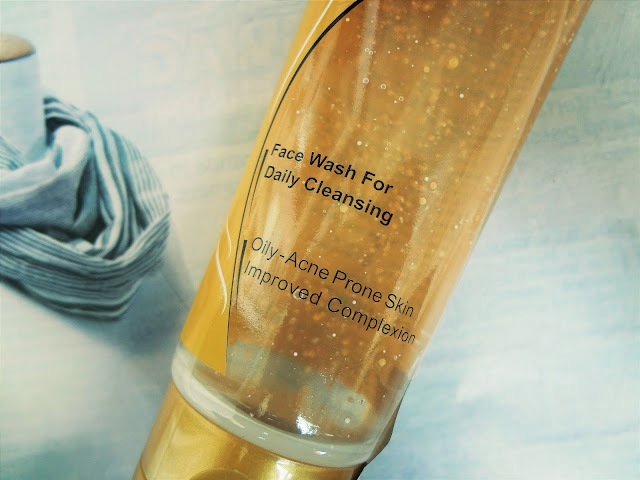 Overall, I do like this face wash and it did not break me out. I already had a few pimples due to the weather but they’ve been there sitting proudly on my face since a few weeks. This is a mild face wash which can clean away your makeup but not the waterproof one. If you have ever used the AHA Glow face wash then you would definitely like this one as well. 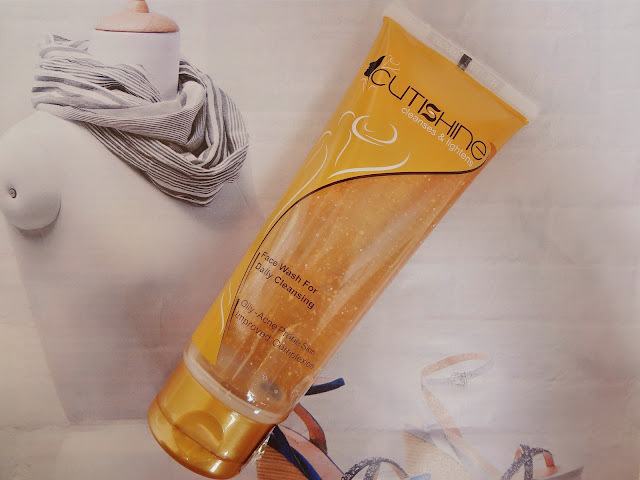 You can buy Cutishine Face wash from here. Haven't tried any of their products. Sounds promising. This product looks great. Great review! Thanks for sharing!